*Update* The exhibition has now ended. 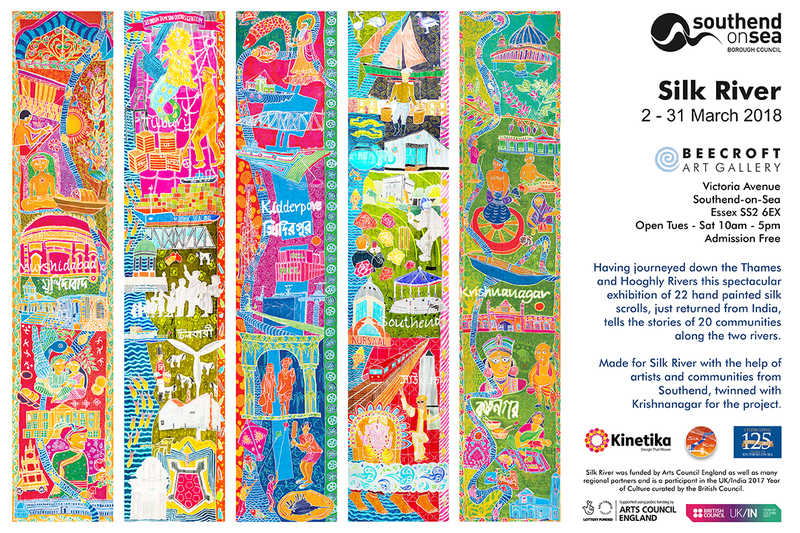 Having journeyed down the Thames and Hooghly rivers, the beautiful hand painted Silk River scrolls were exhibited at the Beecroft Gallery in Southend-on-Sea 2nd March to 25th April 2018. Having just returned from their exhibition at the Victoria Memorial Hall in Kolkata India, this was a wonderful opportunity to see them up close. The exhibition was free entry and with all 22 huge silk scrolls on display, it was a spectacular sight.